Emirati Nationals make up less than 15% of Dubai´s population, leaving room for a truly international blend. This mix of ethnicities and xpats results in an odd combination of enthusiastic open-mindedness and guarded self-segregation. 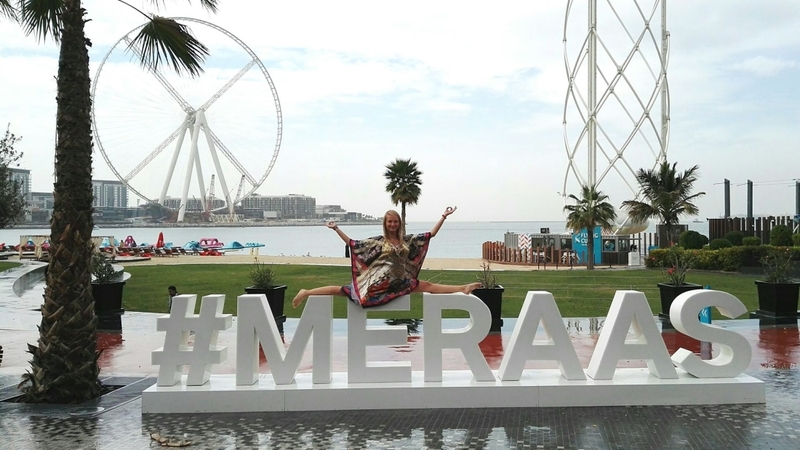 In the malls, the most frequented places of Dubai, you encounter Western-looking women dressed in the tiniest shorts possible as well as Arabic ladies covered in jihabs and niqaabs. 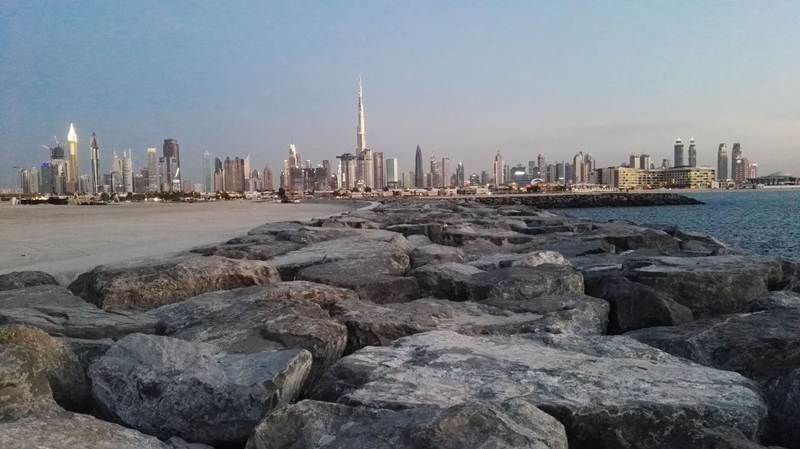 The beautiful natural surroundings of the city built in the sand and on the sea (most notably Burj Al Arab and Palm Jumeirah) range from the golden desert to azure Persian Gulf. 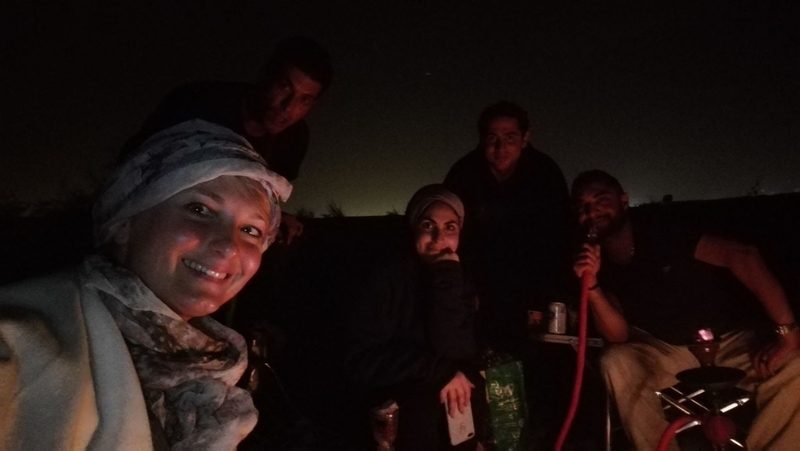 So when you get bored of beaches, shopping and fine dining, you simply make your way to the night cold desert and have a traditional barbeque there with your friends, smoking shisha, drinking chai, white sage tea or karak (possibly a few cans of coconut water or aloe Vera – as alcohol drinking truly is not very common among the locals), looking at the starry sky (if you make your way further out from the city) and chatting. 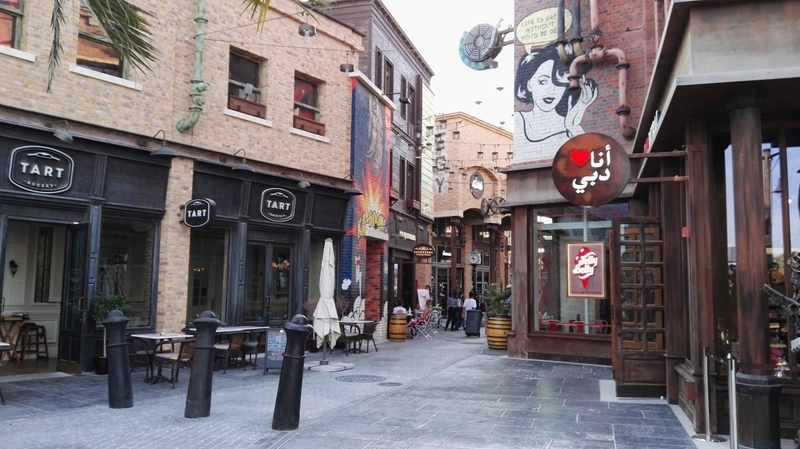 Images of Sheikh Zayed, the iconic first ruler and the founding father of the country who was the principal driving force behind the formation of the United Arab Emirates, can be seen everywhere in the city. Loved by many, he held his presidential post for a period of almost 33 years (since 1971) until his death in 2004, and is often referred to as the “Father of the Nation”. 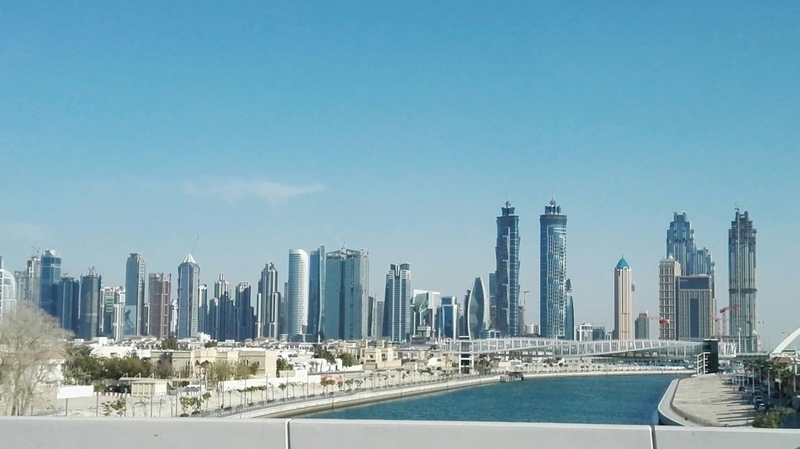 Sheikh Zayed Road, the longest road in the Emirates, named after the emperor, represents the main artery of Dubai, lined with striking and magnificent monuments and skyscrapers. It is also home to the region´s financial hub – Dubai International Financial Centre. Despite Burj Khalifa being the highest building in the world (since late 2008; with a total height of 829.8 m, excluding the antenna) and the influx of high-end hotels that have popped up to serve the millions of tourists who come to Dubai every day, the city´s flagship building and a true architectural masterpiece is still Burj Al Arab, completed in 1999. It remains an international symbol of Dubai´s opulence and architectural flair. Located near Kite Beach, tourists love to take selfies with this hotel which continues to be one of the most-photographed buildings. 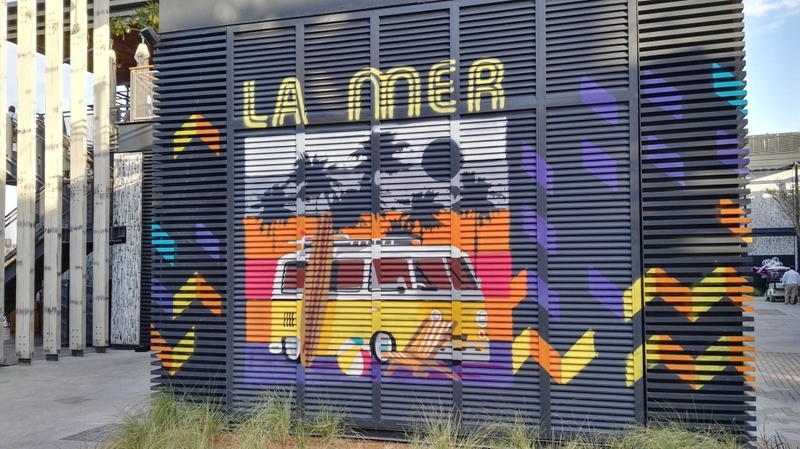 Among my favourites in the city, there would be the laid-back eclectic beachfront, La Mer, built just recently to saturate the needs of those in search of street art, beautiful murals, buskers, hipster-like cafés as well as expensive and posh restaurants, all mingled together in a chill-out zone bustling with leisure attractions. 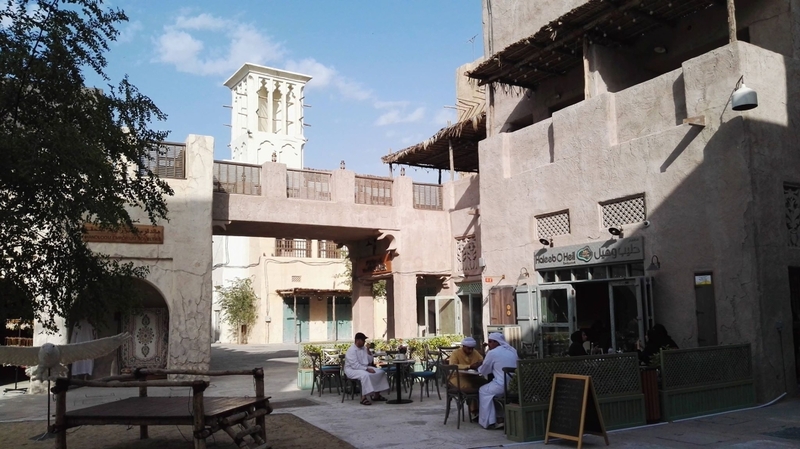 Al Fahidi, another of my beloved, reflects the traditional style of life that was prevalent in Dubai from the mid 19th century till the 1970´s and offers a great opportunity to get acquainted with the old way of life. Here you find high air towers (Barajeel) and houses built with traditional materials such as stone, gypsum, teak, sandal wood, fronds and palm wood. One cannot overlook the care for privacy that can be felt in the scarcity of front windows, their narrowness and highness. There are tiny alleys, pathways and public squares which give the district a natural and beautiful diversity. 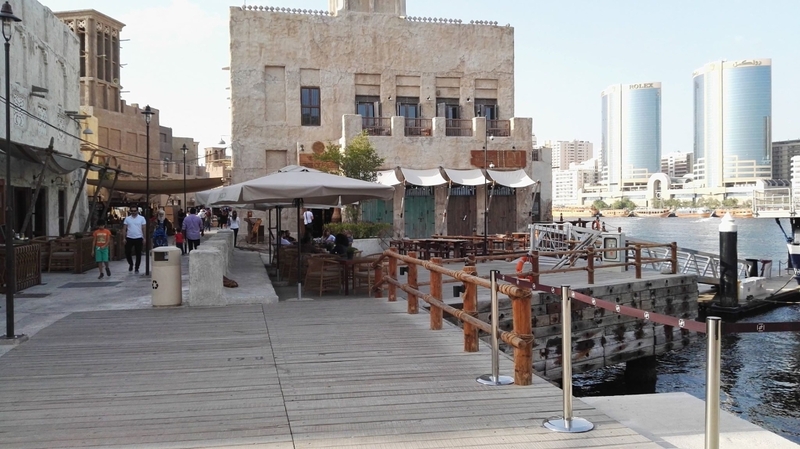 Adjacent to Al Fahidi, there is Al Seef with its amazing vibes, great cafes and panoramic views of the iconic Dubai Creek. Built in 2017, beautiful traditions combine here with modern designs creating an inspiring partnership between the proud past and bright future. 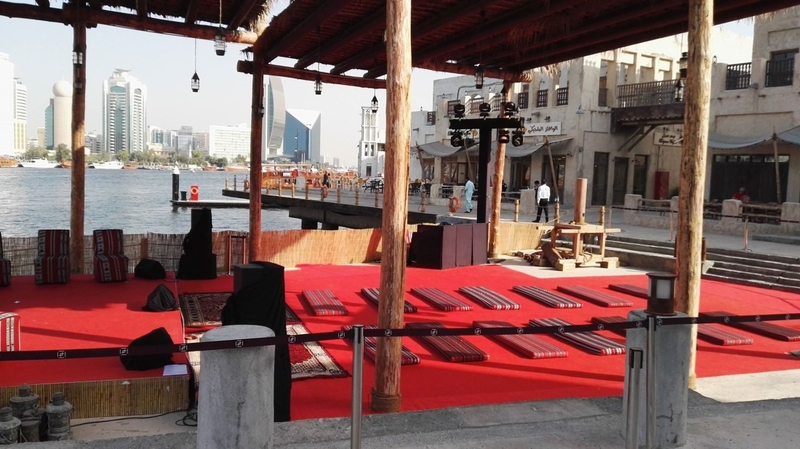 The district hosts a number of varied cultural and artistic activities and venues (both public and private) ranging from art exhibits, specialised museums, artistic societies and ateliers to cultural centres. Cosy cafés and restaurants are scattered all over the district, where traditional architectonical elements echo the original architectonical style while the chic boutiques delight a modern tourist. The 1.8 km long destination offers an oasis of tranquillity amidst the rush of the city and allows visitors to rediscover the heart of the metropolis. 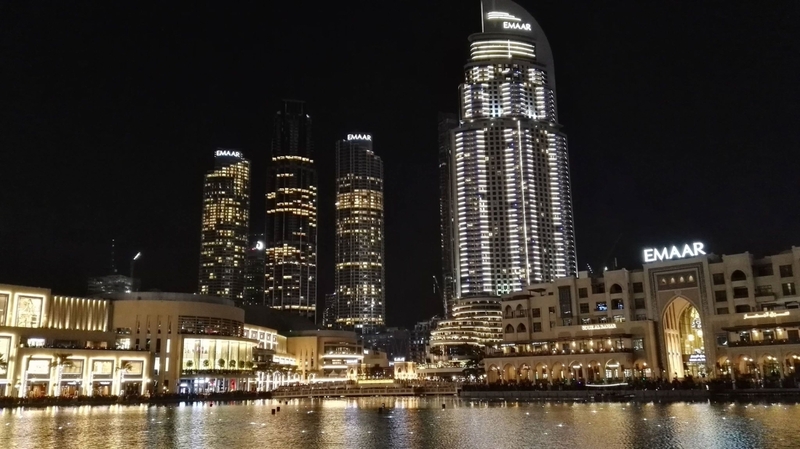 I came to Dubai in the midst of winter, which in local terms means sky of blue and sea of turquoise blue-green, and temperatures of circa 25 degrees Celsius during day and 18 during night. The locals love their winter time when they can relax a little from the scorching heat while people like me, who love it hot, struggle in the air-conditioned shopping malls and huge apartments with no heating system. The enormous three-bedroom and three-bathroom (!) 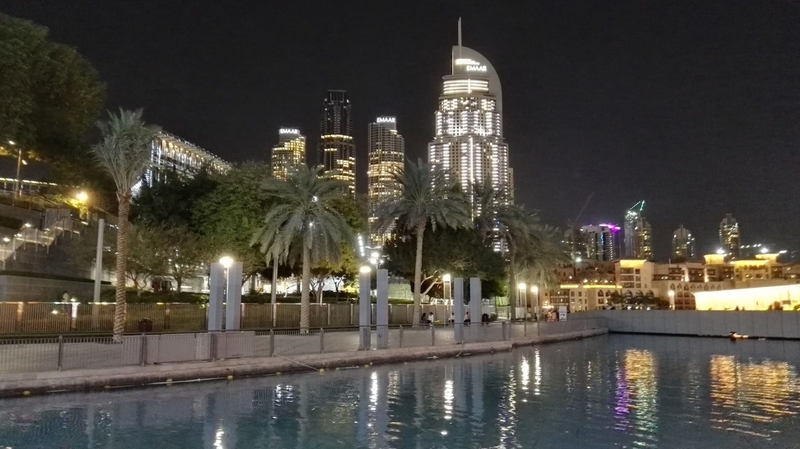 apartment which became my new home is located in the vicinity of Bastakia (old Dubai), about 25-min walk from Al Fahidi. My morning rituals would start by quick shower (it took me a while to realize that the switch with the red button next to the light switch on the side of the bathroom door is actually the magic wand for having hot water), yoga and meditation and a short walk to the local market in the street which is primarily inhabited by people from India and the Philippines to buy some fruits (berries and mangosteen) and oat biscuits. I would get my karak (basically chai latté) and two boiled eggs (peeled and packed with salt and pepper) from the tea place right opposite my apartment building (as the kitchen in the apartment is not really usable). So, instead of spending money on fine dining, I saved it for shopping at Victoria’s Secret. 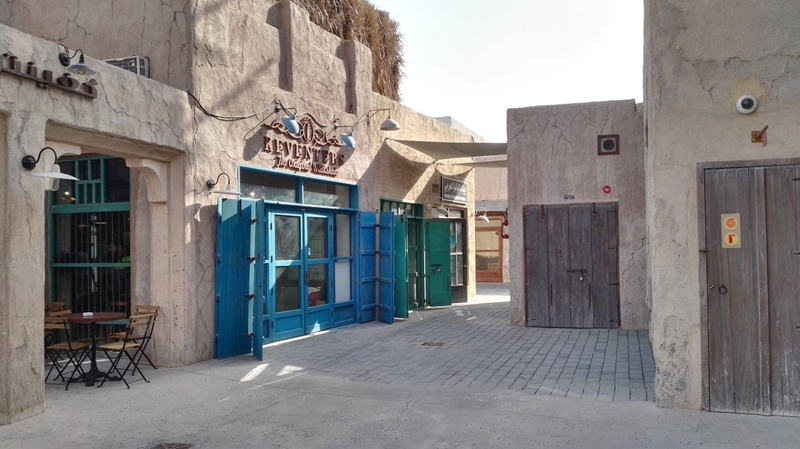 I thought they only had their retails in Singapore, London and New York, but it seems that Dubai simply has got everything, from Global Village, where you can basically travel the whole world in one day, to amazing sanctuaries with flamencos and all the shops you could possibly be interested in. If the locals do not spend their evenings hanging out in restaurants, at beach fronts or having a BBQ in the desert, they go shopping. In the evening hours, the malls crack in seams. You see sheiks (in white) and their wives (in black) carrying bags of all sorts of luxury brands… by the way, a man who does not have a luxurious watch in Dubai and Ray Ban sunglasses is a nobody… Dubai Mall and Mall of Emirates (yes, the one with the ski slope, ski lift and a bob-sleigh area inside) are packed – though so is Dubai “Dancing” Fountain (located right by Dubai Mall), The Opera (also in the lavishing downtown area built by Emaar) and La Perle (Franco Dragone´s first resident show that marks an iconic milestone for live entertainment industry in Dubai). As a Czech person, you receive tourist visa on arrival at the airport – for free. Unlike e.g. Mexican citizens who have to pay about 160 USD and apply online in advance for the visa. The place welcomes anyone who supposedly and potentially brings money. In fact, everything here is a lot about money, which might be the reason why you cannot use e.g. 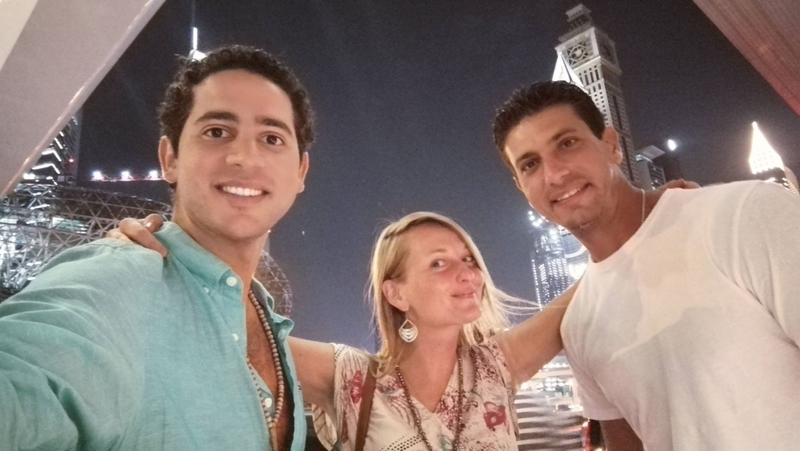 couchsurfing in the Emirates because it works on a “free“ basis.